Tring is a picturesque, small market town in the borough of Dacorum, Hertfordshire. Tring has a population of around 12,000 people and is classed as an area of outstanding natural beauty, 30 miles north-west of London. 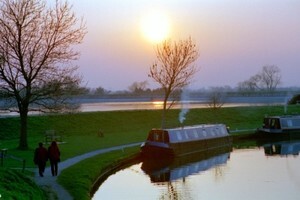 It is set in beautiful surroundings such as Tring Park, Chiltern Hills and the Grand Union Canal. 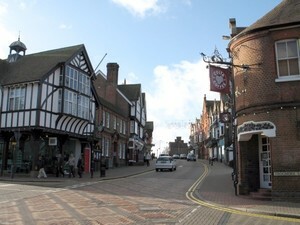 Tring is located in a beautiful part of the country. It has excellent access to London with trains taking 35 minutes, whilst lively towns such as Berkhamsted, Aylesbury, Milton Keynes and Watford are all less than 20 minutes by road or rail. Tring itself is steeped in history with it dating back to prehistoric times. The Manor of Tring (Treunge) is mentioned in the Domesday survey of 1086. 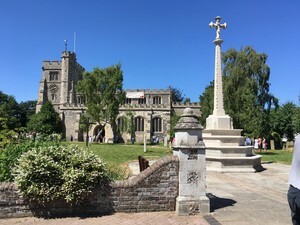 The War Memorial, which is situated on Church Square in front of St Peter and St Paul Church, is thought to be the first in the country to be erected to the memory of those who gave their lives in the Great War between 1914 and 1918. It was funded by public subscription and dedicated in November 1918. Later the names of those who died in the Second World War were added. 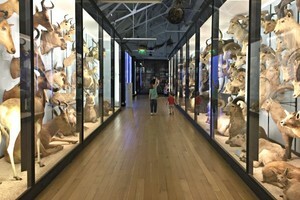 The Natural History Museum in Tring was built by the Rothschild family. This has remained ever popular and draws many visitors into Tring. Nowadays, the market town of Tring is home to an abundance of local cafés, restaurants & shops. The Court Theatre , situated near the Pendley Manor Hotel, hosts a whole array of productions and is famous for the ‘Tringe,’ which is the comedy warm up to the Edinburgh Fringe. Tring has many traditional pubs which are charming in their own right. They serve and support local ales supplied from Tring Brewery. Tring houses a Marks & Spencer and Tesco for those all-important supplies. It also has a gorgeous spa, Champneys, for those who want to indulge. As the principal secondary school in the area, we take our responsibilities to the local community seriously and encourage our students to play an active role in the town’s life. 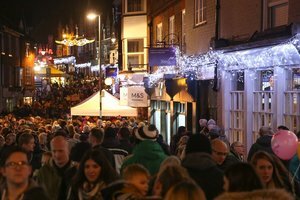 Examples include joining the Tring Youth Town Council or volunteering for local charities, or through participating in work experience programmes with nearby businesses. "When I was fortunate enough to secure my job at Tring School, I was new to the area and so the school put me in touch with other NQTs also looking for accommodation. There were lots of house share options available but in the end we decided to rent a house in Berkhamsted. The town offers us a fantastic mix of bars, shops and restaurants with easy access to both school and London on the train. The help from Tring School made me feel reassured and relaxed."